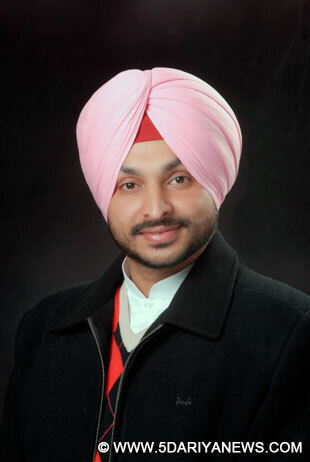 Congress Member of Parliament Ravneet Singh Bittu demands new trains to connect Ludhiana to other cities directly. Bittu has written a letter to union minister of Railway in this context.Keeping in mind the sentiments of Sikhs Bittu demands new train between Gurudwara Nanaksar Kaleran, Jagraon to Sachkhand takhat Shri Huzoor Sahib, so that the pilgrims could get benefit of it.Mr. Bittu also demanded stoppage of special train between Ferozepur-Chandigarh at Nanaksar Kaleran, so that the people of the area could get benefit of the train.Mr. Bittu further added that as Ludhiana is largest industrial city of Punjab and people used to travel to Chandigarh, capital of Punjab. He demanded 4 trains daily between Ludhiana and Chandigarh. The step will be in favour of government and private employee that used to travel between Chandigarh and Ludhiana. The people could travel for Rs. 20 only between Chandigarh and Ludhiana.